Above is the Birth Certificate of Emily Sophia Musgrove, George and Emily's first daughter. George is now a money lender and the family are living in Hatfield Peverel. Unfortunately the Certificate does not give a precise address and no local directories show the Musgroves living here at this Time. 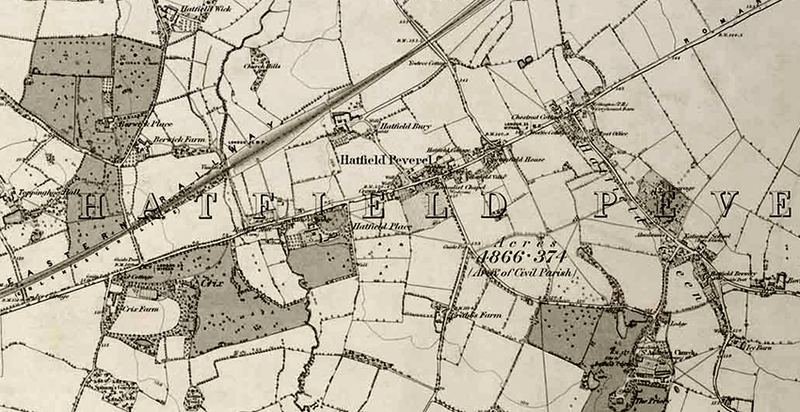 The photograph below shows The Green at Hatfield Peverel about 1905 which gives an impression of the area which is shown on the 1874 map below.